The Global Leadership Forecast 2018 by DDI, EY and The Conference highlight that in India developing Next Gen leaders was rated as a key challenge by 68 percent of surveyed leaders. As part of the larger Global Leadership Forecast 2018 study published by global leadership company Development Dimensions International (DDI), EY and the research association The Conference Board, the biggest worry on executives’ minds around the world is developing “Next Gen” leaders. The India report is based on survey responses from 1,363 leaders and 161 HR professionals. As per the data, developing “Next Gen” leaders and failure to attract/regain top talent were rated as key challenges by 68 percent and 64 percent, respectively. Leaders also clearly indicated that top talent and effective leaders will be needed to address the myriad current challenges and to position their organization for future success. 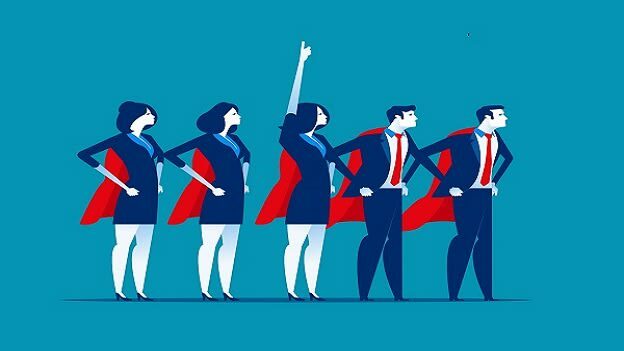 Meanwhile globally, developing “Next Gen” leaders and failure to attract/retain top talent were rated in the top five by 64 percent and 60 percent respectively. 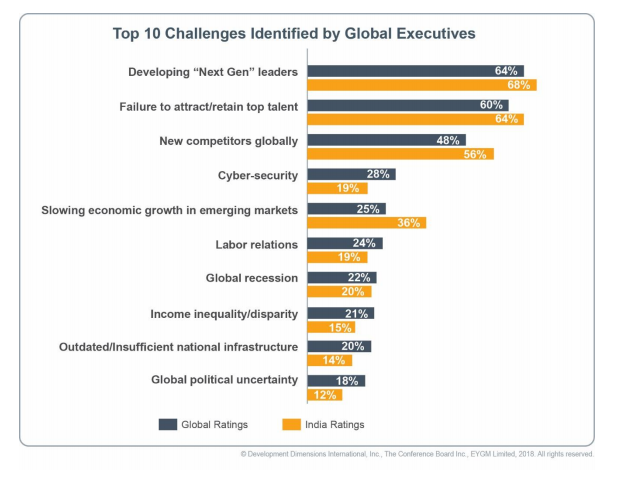 Leaders at the Core: In India, developing “Next Gen” leaders and failure to attract/regain top talent were rated as key challenges by 68 percent and 64 percent, respectively. Growth & Potential: Globally, organizations spend more money developing high potentials than any other group of leaders, including the senior team. High-potential leaders also spend more hours per year in formal leadership training than any other leadership group. In India, companies annually spend an average of $3,628 and 38 hours per high-potential leader. The HR Opportunity: The report highlights how too often there’s a weak link between strategic and HR planning. In fact, only 28 percent of global HR respondents feel that this connection is tight and starts early in the planning process. The report highlights the importance of predictive analytics, which are the Anticipator’s lifeblood. The Global Leadership Forecast 2018: 24 Research Insights to Fuel Your People Strategy research integrates data from 25,812 leaders and 2,547 HR professionals across 2,488 organizations across the globe. The research, which spans more than 1,000 C-level executives and 10,000 high-potential employees, includes 54 countries and 26 major industry sectors.